A man with serious injuries was air lifted to hospital after he was in an accident involving a bus in Bognor Regis this afternoon (Saturday, August 8). Sussex Police were called out at 2.44pm today outside Jack Rabbit Slims, a music bar. The man is believed to be seriously injured, according to Sussex Police. A spokesman for South East Coast Ambulance Service (SECAmb) said: “Paramedics attended the scene with colleagues from Sussex Air Ambulance and a man has been air lifted to Royal Sussex Hospital in Brighton. 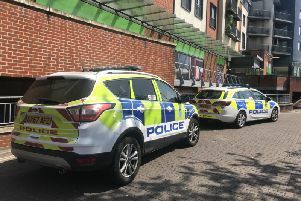 UPDATE: Man was taken to Southampton General Hospital instead of Sussex Royal.